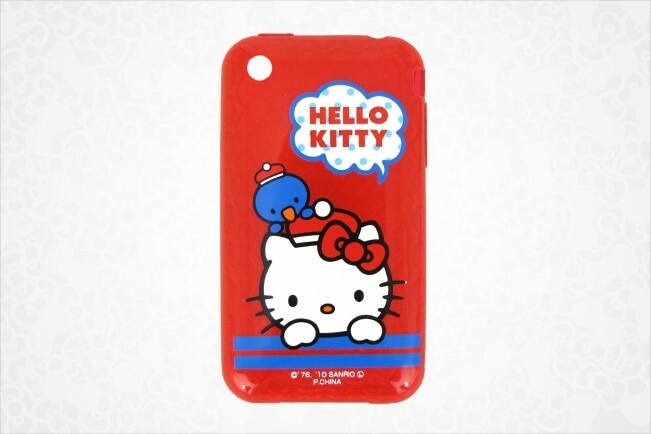 What's possibly the hottest thing right now to have hooked up with Sanrio? Phone cases! 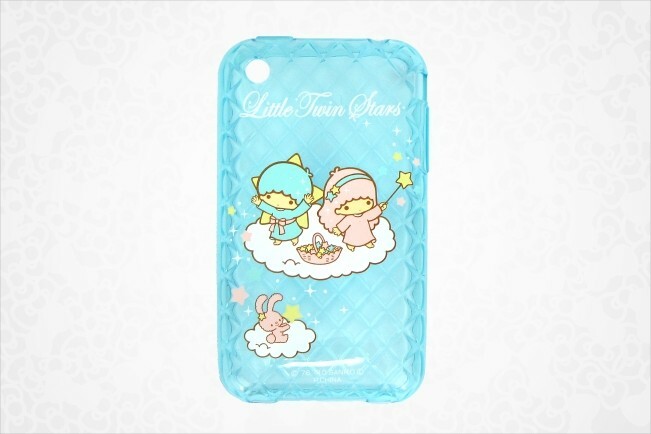 USA Sanrio has come out with the bling, bling for your phones. Well, not exactly diamond studs, but something that'll have you sitting straight forward in your seat. Have I caught your attention yet? Good. Now pay attention to these babies below. 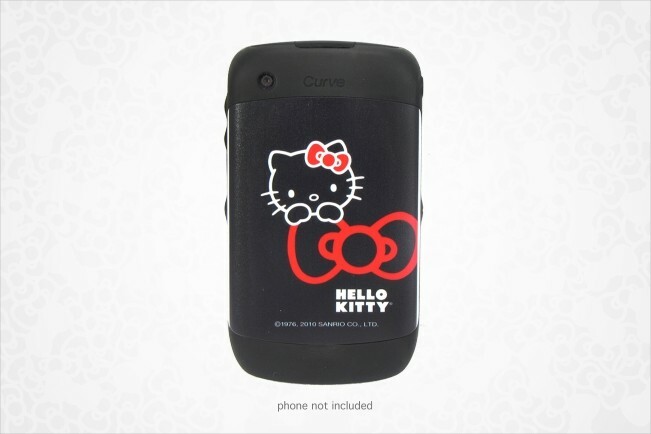 Your BlackBerry Curve 8520/8530 takes on a new look with this so cool Hello Kitty BlackBerry battery door. 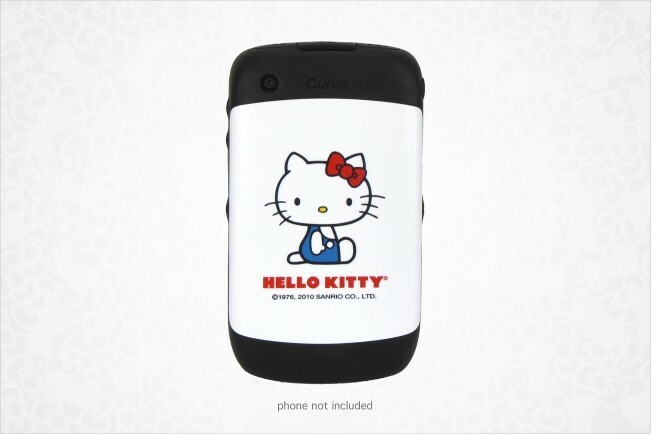 A perfect replacement for your worn battery cover or just to add a touch of Hello Kitty cute to your BlackBerry. This one features retro Hello Kitty sporting her vintage blue overalls in her popular classic pose. Hurry and get your copy soon because it looks like they all will go fast! The white Blackberry version is already at "Low Stock." And, a very cool LTS version! I really want one for iphone 4. Not fair!!! 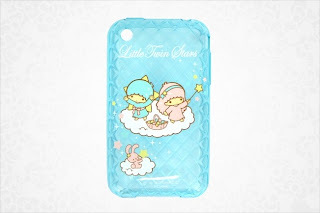 I will throw the BIGGEST tantrum if I don't get a LTS one for iphone 4. I mean it. 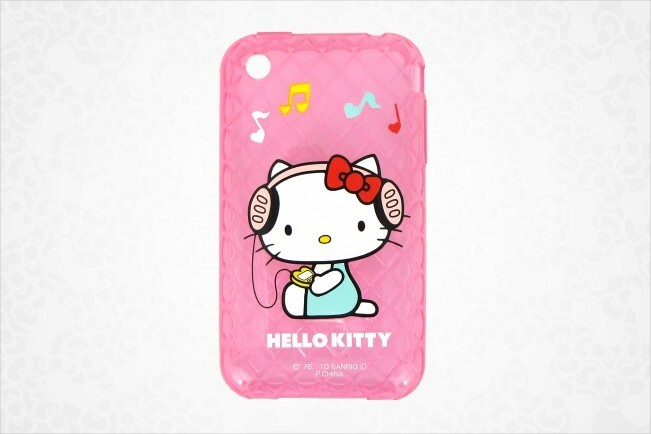 Get smart and protect your iPhone 3G and 3GS from dents and scratches with this so cool Hello Kitty soft gel iPhone case. You're sure to love the fun design on an attractive diamond pattern in red featuring Hello Kitty and friend as look a likes in matching caps.